Geocaching for hikers is a hike and seek approach to the trail that requires technology and an addiction to finding hidden caches. It's not about the hidden treasure, it's all about the thrill of figuring something out on your own. 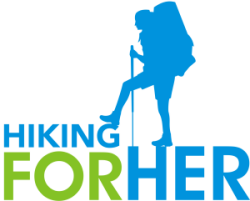 That should appeal to hikers, right? Let's get you up to speed on what geocaching is, and why you, an avid hiker, might want to devote some trail time to it. If you love GPS navigational challenges, or solving puzzles, you'll love geocaching. First off, how to pronounce the word: gee-oh-cash-ing. A cache is a secret stash, a way to store something away from prying eyes for only someone with insider knowledge to discover. 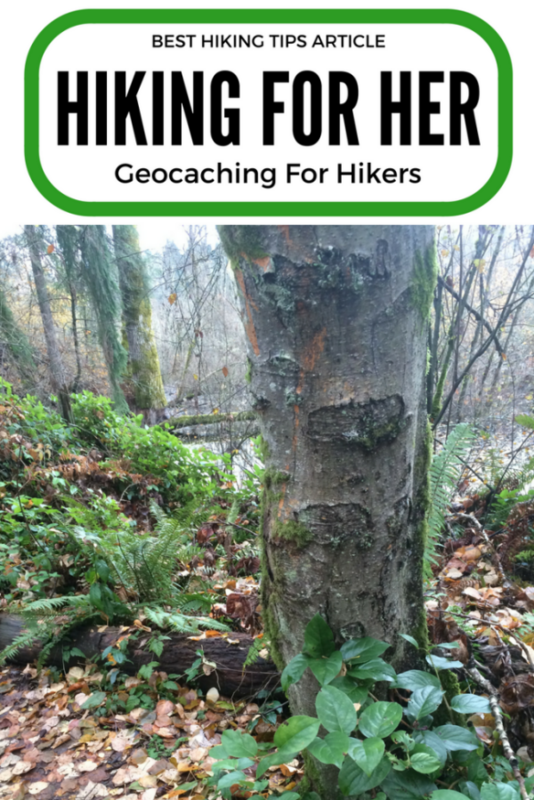 Think "digital treasure map", and you capture the essence of geocaching for hikers. When you discover a geocache as a hiker, you take one item from the stash on the earth (geo), and leave something of your own behind for the next geocacher to discover. Or you can examine the cache and decide to take and leave nothing. The thrill is in the discovery, not the loot. What do you need for geocaching? a GPS navigational device like this one to help you navigate to those coordinates. You could also use a smart phone app, but it might not work for hikers in areas with limited cell phone coverage. And we might as well throw curiosity in there, too. Note: If you're trying to introduce children to the wonderful world of hiking, geocaching might be your ticket to luring them out onto a dusty trail. Ranger Rick and geocaching are a great combo. Curiosity might have killed the cat, but it tames restless kids on the trail. I was sitting on a hollow log, minding my own hiking business and munching a chocolate chip cookie. The log and I were perched on the edge of a cliff overlooking a deep blue alpine lake. It had been a steep, sweaty hike up to the viewpoint and I was distracted with the great view. Inside the log's cavity was a small plastic box with a red lid. Curiosity just about knocked me backwards off the cliff. I opened the box and found an amazing collection of - well, how to say this politely? A highly unusual collection of stuff that would delight a toddler. Plus a small notebook and pencil. Rest assured, I put everything back exactly as it was. This event occurred many years ago, when the word geocaching wasn't in the lexicon of hikers. So I had no idea what I had just discovered. Muggle = non-geocacher, not initiated into the cult of geocaching. A Harry Potter term, right? But you aren't a muggle, after your Geocaching 101 introduction on this page! To dive more deeply into the art and science of geocaching, read this easy to digest guide to geocaching. Ready to get started geocaching? If the idea of using GPS navigation as an excuse to navigate to a small box of "treasure" appeals to you, read this thorough introduction. There is a strict code of conduct to follow for seekers and placers of caches. Know before you go. There are various levels of difficulty in finding caches, so as your skill level with navigation increases, you can choose tougher challenges. You will need basic familiarity with the types of coordinates to use for navigation: DMS, DDM, and UTM. Once you get within 20 - 50 feet of the cache, you have to fall back on your skills of observation and deduction to determine the exact location of the cache. 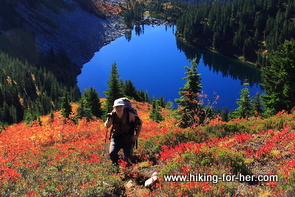 Hikers like to know where they are and what's ahead of them on the trail. So when you get the coordinates for a geocache on/near a trail that you plan to hike, you can combine your love of a challenge with honing your navigational skills. All you have is the coordinates, and an electronic map. It's up to you to figure out the best or fastest route to your treasure box (cache). Geocaching while hiking also adds a new dimension to your trail time. You're hiking with an additional purpose. If you routinely hike the same area, geocaching will open your eyes to a new navigational sport. If you're visiting a brand new area, you can add some fun to your exploration of new trails. Teach them navigational skills while adding a sense of adventure to trail time. And if you're doing daily walks for exercise or stress reduction, you are probably surrounded by geocaches. There are 14,500+ in my area, most within walking or biking distance of my house!! To be considerate of other hikers and the terrain, use your best Leave No Trace skills. And please don't gloat openly when you meet a muggle hiking on the trail! Instead, log your awesome cache finding abilities on a geocaching website. Yes, geocaching for hikers comes with well deserved bragging rights. More fun stuff for hikers here!